Back in October, Facebook announced that it was making a dedicated Events app, only Android users were going to have to wait a bit for it. 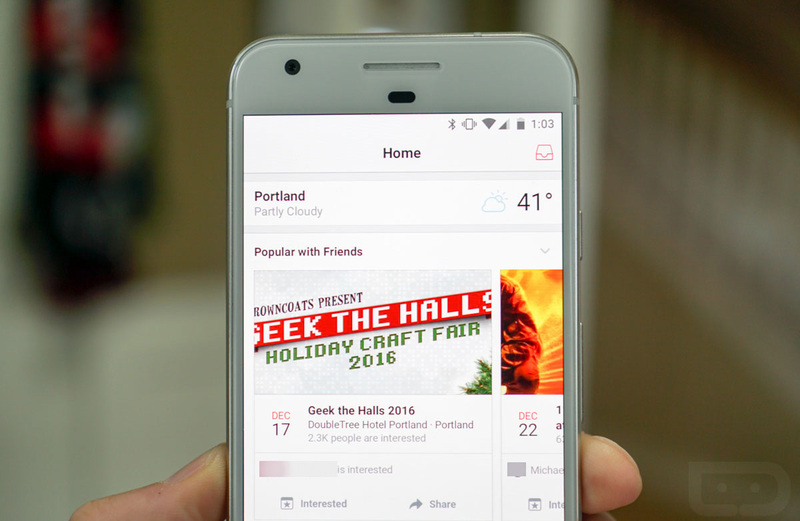 Today, it arrives just in time for your holiday plans to take shape on Facebook. The app not only helps you keep track of your own events and the events you plan to attend, it also suggests others you may enjoy and helps you find the hottest happenings in your area. It’s an all-in-one app, for sure, assuming you and your friends and family make plans through Facebook. Again, you’ll get to see your events, activity within those, who is attending or not, etc. But if you want more, like a way to liven up your social life, you can browse other events, see the events your friends are interested in, and more. It even has the ability to access your calendar to help ease planning headaches. It certainly sounds promising for those of us who aren’t big Facebook users, but do appreciate its event capabilities. The early reviews of the app are a bit brutal, but hey, this is the first release.